Mo Hair, Mo Problems: What Is Going on with My Hair?! The natural hair vets weren't lying when they said "mo hair, mo problems". The longer my hair gets the more TLC I have to give it. I've been struggling with knots like a mug. It's imparative now more than ever that I keep my hair stretched at all times. I've also been having a problem lately keeping it moisturized and sealed properly. I'm taking notes and trying different combinations. One thing is I've run out of my Bee Mine Deja's Hair Milk. I need to re-up on it. My hair really behaves and stays moisturized with that. Yes, I was falling for my Shea Moisture Curl & STyle Milk all over again but now it's acting distant and calling me less. It's like it's good but something is now off and it's not doing as well as it normally does. I'm also noticing that sealing is becoming a very good idea for my hair. I wasn't consistent with this in the past because my hair accumulates build up fast if I'm not careful but I'm seeing, just recenly, that my hair likes it and retains more moisture when I do it. For me, it has to be a light oil my hair will absorb though or it will just leave my hair a dry, greasy mess. Right now I'm experimenting with sweet almond oil. I may try apricot kernel oil too; that's a light one. I'm not alarmed or scared or ready to slap on a relaxer or anything. I attribute this to "growing pains". Come December, I will be natural for 3 years. It's seeming like as you pass the 2 years natural threshold, some things change because you now have a lot of hair. I'm moving into that space and as always, I will figure it out. No journey is easy peasy all the time. They are riddled with trials and tribulations and celebrations and achievements but you need all of these to define a journey. Any of you feeling like I'm feeling? Or you vets, did you feel this way at the 2, 2.5 year natural mark? I haven't had a relaxer in 2 years and some change and have found a rise in tangles as well. Trying to keep my hair moisturized and stretched as much as I can! I am kinda at the same point with my hair as you are. Somethings are making a come back (combing instead of finger detangling)and some things (like knots) are hitting me with a vengeance. Also I have to remember changes to my routine as I come across them. Ex. 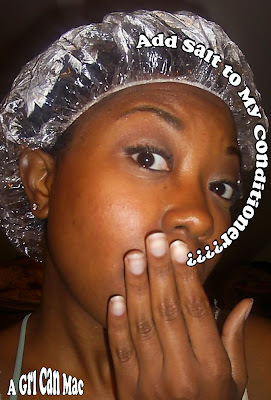 : I recently detangled my dry hair using Shea Moisture CES and my shower comb...an amazing dry twist out followed. Last night I did the same thing but finger detangled, I was almost ready to shave my head AND it took three hours for 10-15 chunky twists. I may start labeling which products are used best which way so I don't have to go through this again. I know exactly how you feel. It seems like the longer I am natural, the more complex my hair becomes. I never used to have a major problem with detangling...now it's becoming a major issue for me. 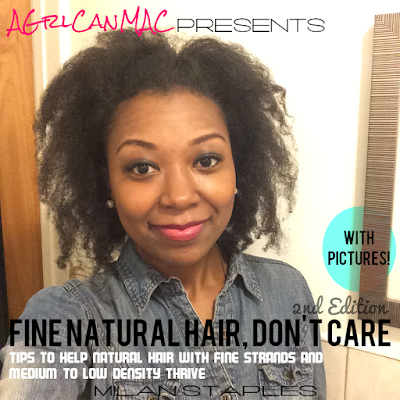 I the issues I face as a natural are what contribute to my product-junk-i-ism lol. And I loooove Sweet Almond Oil, the smell is so heavenly! These growing pains are going to come and go. I've been natural for almost 14 years and I am once again reaching a plateau (although I don't quite want to reach for a hot comb yet). You just have to keep working with it. Your hair will truly be an ongoing experiment. Last week for the first time in like 2 months I was loving my hair again. I didn't fall in love with any new products, but some oldies but goodies showed me love again. Keep the faith!